HEATED BARN!!! HEATED INDOOR TO COME!! 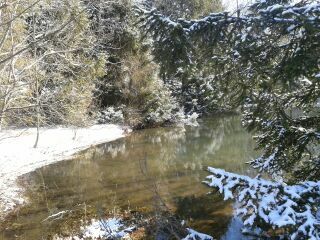 DONT BE LEFT OUT IN THE COLD!!! us at Apollo Farms Ltd. Facebook page! Check out the full page article on Ellie in the Spotlight Section of the Times News. Click here for the full article. Congrats to Delia A. Apollo & Scho & Tell for Reserve Champion, young hunter division at Worcester Stables "B" rated horse show. 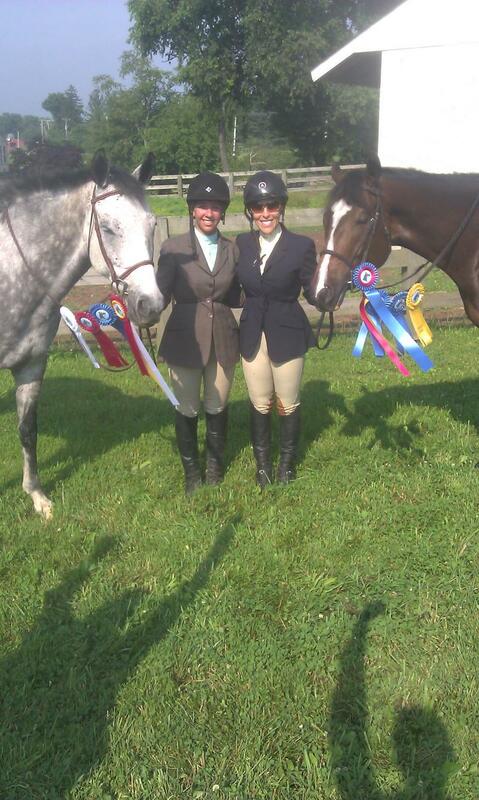 Congrats to Delia & Scho at there 2nd horse show together. 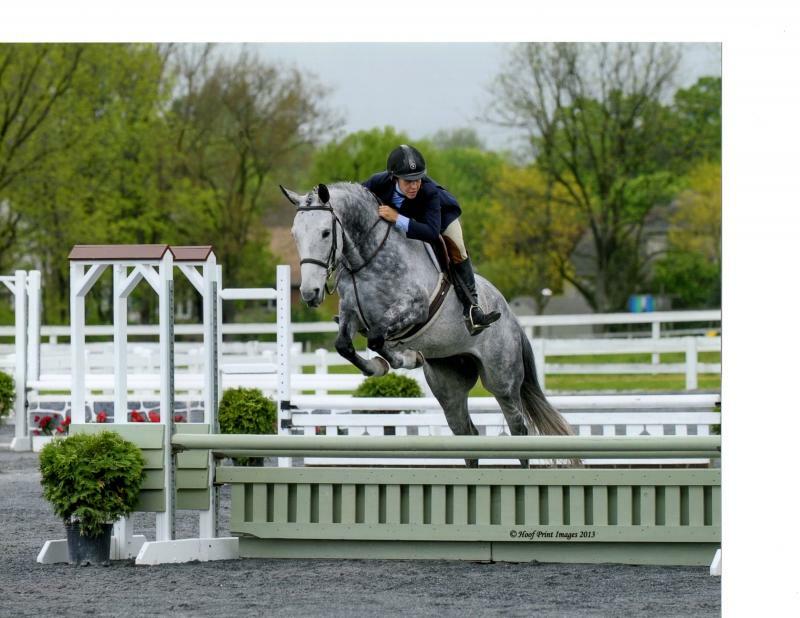 Congratulations to Delia and Poseidon Del Mar for placing 2nd out of 20 at Monmouth County Horse Show, this is only the second horse show in the jumpers for this very talented 4yr old gelding!! Congratulations to Delia and Scho &Tell for winning Champion in Young Hunters at Woodedge AA show!! Congratulations to the following students/ young horses for such a wonderful job at Worcester Horse Show!! Congratulations to Alessia for her purchase of “Lucky” we wish you guys the best of luck!!! Can’t wait to see where you go from here!!!! The sky is the limit for both of you. 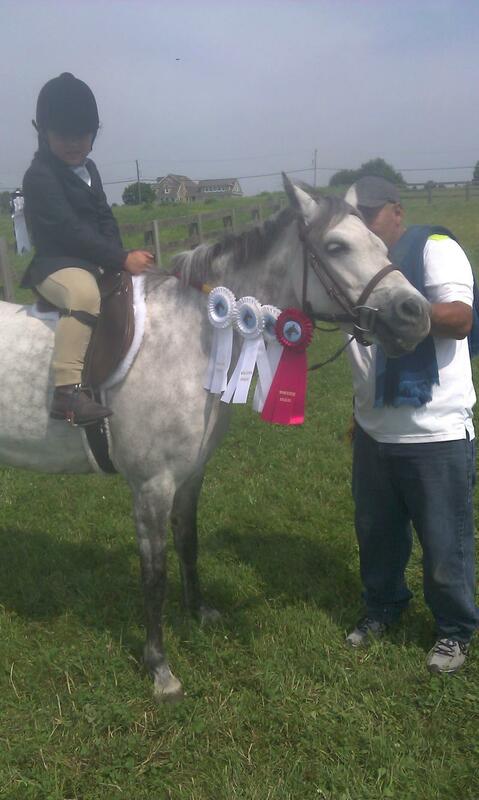 Congratulations to Vanessa Clero in Beginner Equitation Division Placing 2,3,4,5 at her very FIRST Horse Show!! Congratulations to Jasmine Rancovick for WINNING the E.P.P.H.A. Medal Class at “A” rated Springfest show!!! Ellie's Bows are not available at the "Golden Horshoe Tack Shop" in Eureka, MO. The now are featuring part of the "Wellington Collection 2013" be sure to check them out! Ellie's Bows is also now in CANADA!!!! We are so excited to be growing by leaps and bounds, look for our online boutique which will be launched this spring. 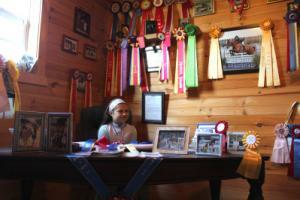 Congratulations to Jasmine and “My Prince Aladdin” for winning Grand Champion in Young Hunters at Woodedge Horse Show!! 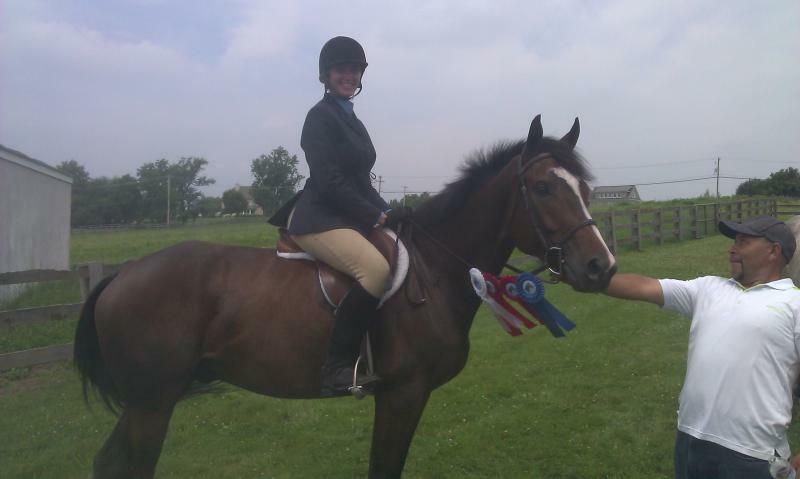 Congratulations to Michele Bloor for being 2012 CHAMPION NJHSA ADULT HUNTER!!! We wish everyone a happy New Year!!! Show schedule and events coming soon!!! Congratulations to Jasmine Rankovich on the Purchase of her new horse Aladdin!! Great things to come in 2013!! Congratulations to MiriahFox on the Purchase of her new horse !! Long Time Coming, you guys will do great!! Congratulations to all other South Jersey Equestrian Students on there recent horse purchases!! Congratulations to Danny on the purchase of horse "Say Nothin". We hope everyone had a fabulous thanksgiving holiday!! We wish all of students a very Merry Christmas and happy New Year!! We where so happy to have PA State Representative Doyle Heffley out at the farm! 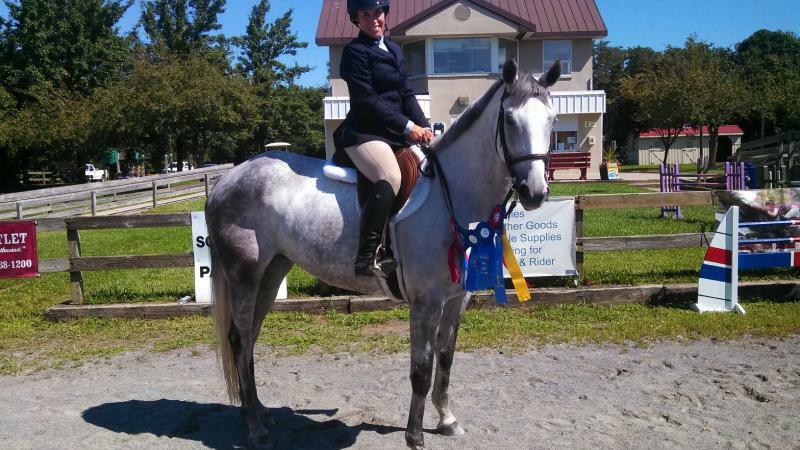 Jasmine and Leon Dax RESERVE CHAMPION in Novice Equitation at HITS Saugerties this week!!!! WAY TO GO !!! Check back for pics and updates!!! Congratulations to Jasmine and her horse June for winning FIRST PLACE IN EQUITATION AND QUALIFYING FOR DISTRICTS!!! WAY TO GO!!!!!!!!!! Congratulations to Jasmine and her horse June for winning Champion in the Beginner Rider Division and for placing 2, 5, 6 in the Green Hunter Division!! Way to go!! Congratulations to Sarah and Lilly for winning Reserve Champion in baby green hunters at the Heritage Valley Horse Show!! Way to go! 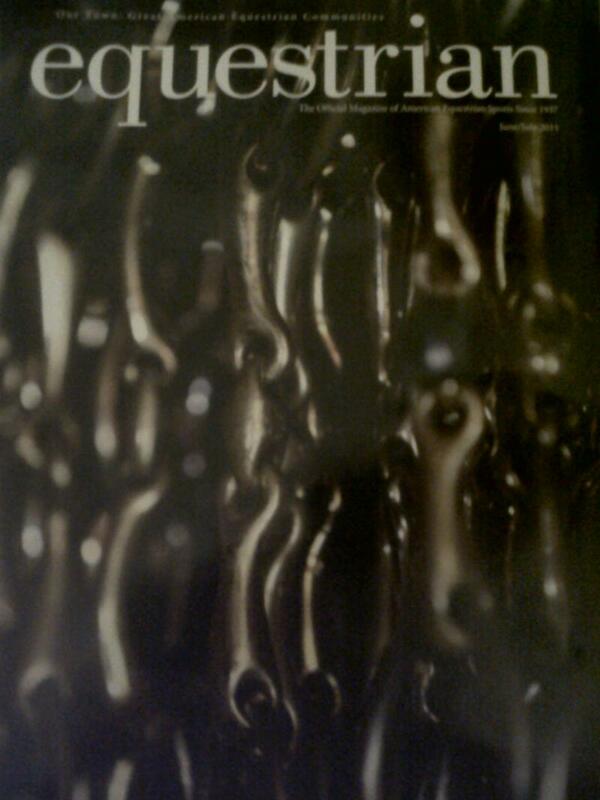 Thank you to the Times News for Featuring us in May 2012 issue! We are excited to bring the "Ride for Youth Program" to the Palmerton area. and opened Apollo Farms Ltd. in May. 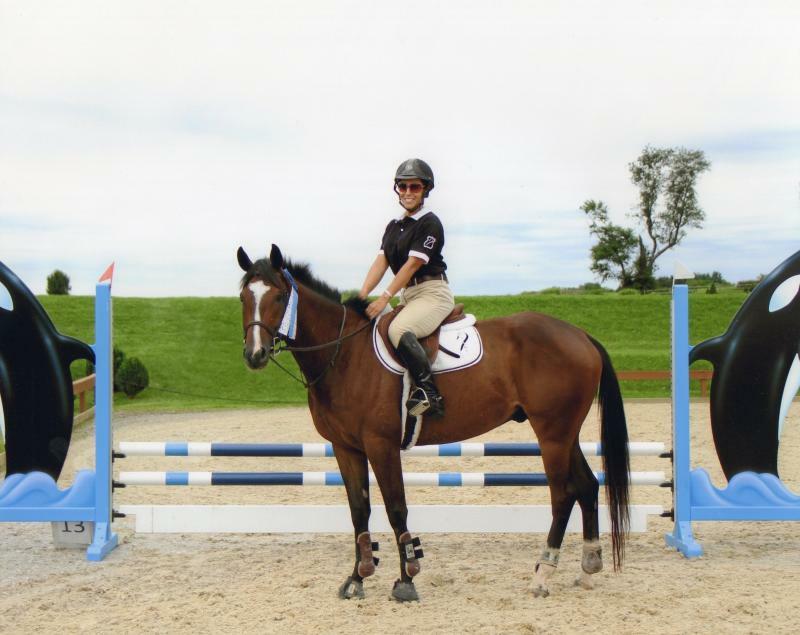 With her heart in equestrian showing, jumping and competing, Delia Alvarez-Apollo has opened Apollo Farms Ltd. to teach a new generation of horse lovers how to train for equestrian events. Apollo, a professional horse trainer for five years, decided to set out on her own, and after searching for the right location, found it in the eastern farmlands of Carbon County. Delia and her husband, Robert, were looking for a move from South New Jersey to the Carbon County area. "We looked at a lot of different properties," she said. "I fell in love with the rolling hills and the overall layout. It's a wonderful property to train on." Apollo Farms, which opened on May 15, is located on over 40 acres. 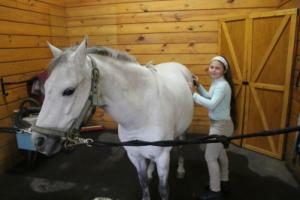 Their new barn has a 15-foot aisle and 12-by-12 matted stalls. The facility boasts a five-acre hunter derby grass course, a 100-foot-by-200 foot ring with all weather footing, a 60-foot-by- 100-foot short stirrup ring, and a 125-foot-by-200-foot grass ring, and this is only the work that they have completed during their first phase of construction. For guests, they offer accommodations in a handcrafted log cabin, with access to a meandering trail along the boundary of the 40-acre property. "It's a really unique property, Apollo said. "We really fell in love with it." Apollo Farms offers riding lessons for beginner riders through advanced riders. "We teach all types of riders," she noted. "For instance, we teach therapeutic riding. We've had several kids with ADD and mild disabilities." What most excites Delia is introducing young children to riding. She started her daughter, Elliena, at the age of two. She is now four and can steer her horse, post and jump. 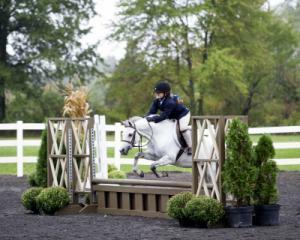 "It's important to get the kids to jump before they even learn to canter," she explained. "Because if you start kids when they are little, they just don't have a notion of fear. They learn everything and go with it. That's what makes them so good." Delia wished she had started riding when she was two years old, but alas, she didn't get into the saddle until the ripe old age of seven. "I started riding with a great trainer, Wendy Klein, who taught me a lot. Then I was lucky enough to ride with George Morris-considered the best rider of all time." 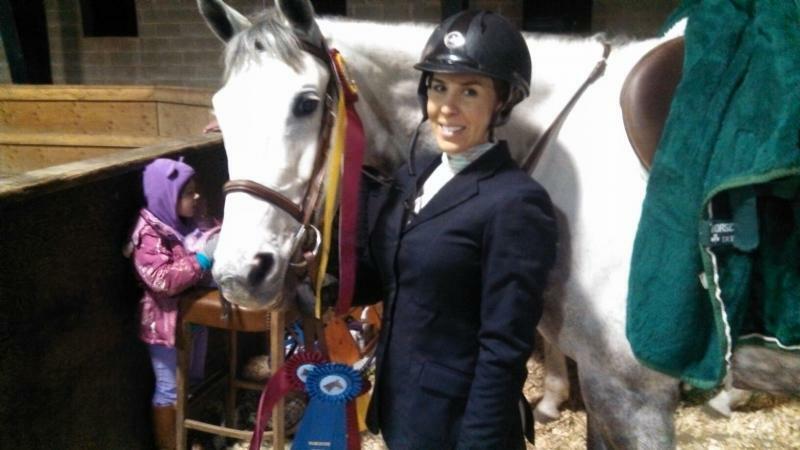 As an adult, Delia rode with five-time Equestrian Olympic Jumper Anne Kursinski. "She is regarded as the best all time woman rider," Delia noted. More recently, she's been working with hunter rider Lisa Stackow. Delia alternates her training between hunters and jumpers. "Hunters is a discipline judged on suitability of the horse, precision, and a certain amount of stride and pace," she said. "It's all very technical and based on the judgment of the judges. "Jumpers, although technical, is judged basically by the clock," she continued. "As long as you get a fast time and a clear round, which means no rails down, you are judged on time compared to the other riders." Apollo Farms is beginning to attract students. Delia hopes to attract kids from five to 18 years old for a weekday summer camp. 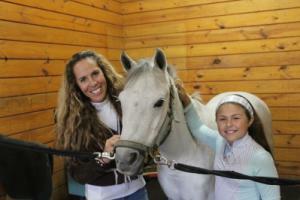 "The kids get to learn about all aspects of the care of the horses," she explained. "They get to ride every day." Besides teaching, Delia trains horses. At the beginning of the interview, she was putting Leon Dax a seven-year-old Argentine Warm-blood through his paces. "When I got him, he was bucking and bolting," she said. "He needed training. I love fixing horses that are hard to manage." "I love horses," Delia said. "They are a huge part of my life. Riding is such a unique activity. You are always met with different challenges. It's a really rewarding experience. "Like with Leon, for example. I got him has a jumper prospect and we worked really hard for a year and a half. We ended up being third in Pennsylvania in two different divisions. That's huge for him. 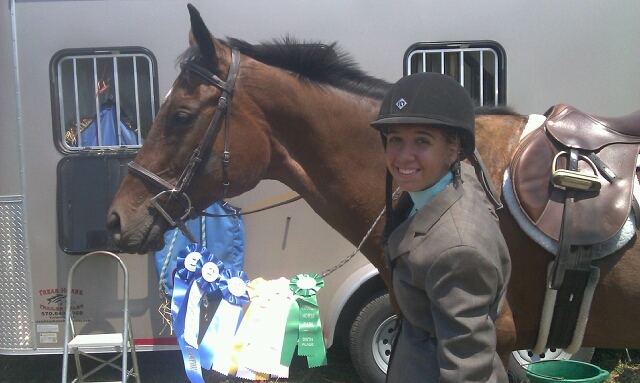 To take a horse that was untrained, and to go around a course beautifully, is just really rewarding." With the opening of Apollo Farms, Delia is looking forward to her dream, "to be able to share the gift of horses with other people." Apollo Farms Ltd. Is at 3070 Summer Mountain Rd. 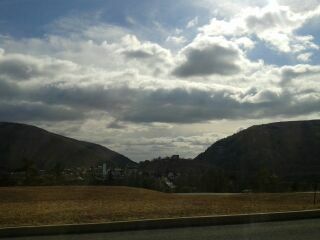 in Palmerton. For information, call: 610-900-4120, or visit: www.apollofarmsltd.com. Apollo pets her Welsh ponies Elmo (left) and Lilly (right) at her spacious farm. It won't be long before children can experience the magical world of horses at a local farm on the outskirts of Palmerton. That would be in the form of Apollo Farms Ltd, located at 3070 Summer Mountain Road, which just opened for the season. As summer approaches, the farm is in search of sponsors for The Ride for Youth Summer 2012 Sponsorship Program. The program had previously been located at the New Jersey Gloucester County Dream Park, said owner Delia A. Apollo,. "We want to inspire the youth," Apollo said. "We want to give them an alternative vehicle to let them know dreams are possible." The program, which begins the last week of June, was started by Apollo, a professional United States Equestrian Federation (USEF) rider. "It's been a life-long dream for me," she said. "To be able to share that is such a gift." As part of the program, Apollo said children get to brush the horses, tack them up, and receive a hands-on approach to observe the day-to-day functions that go on at the 40-plus-acre farm. "It's great for kids to know that they can master and have control over an animal so large," she said. "It builds self-confidence." Apollo said once children participate in the program, it becomes difficult for them to leave. "The hardest part of the program is no one wanted to leave," she said. "They've [the horses] definitely been able to transform lives." Also as part of the program, Apollo said children get to go out on nature walks. "It's about being one with nature," she said. "It's about getting you in touch with yourself, nature and animals." The children also get to participate in crafts, cabin, and other group activities, Apollo said. "We talk about what their dreams are, what their aspirations are," she said. "So many people don't realize the equestrian world is a multi-billion-dollar business." While Apollo Farms sponsors a portion of the program, Apollo said it's success is based on obtaining local business sponsorships so that it can provide "no cost" weekly programs to those children that are "at risk" or come from low income families. Apollo said it's "extremely important for us to offer all children the opportunity to experience the positive life-changing activities regardless of family income level/situation." "Our activities teach children not only about horses, but also about responsibility, confidence, and respect," she said. "Not to mention the physical benefits such as motor skill development, balance, and coordination." Apollo said sponsors will appear on its web site, have display information at its clinics, and have information dispersed at community events. For more information, call 1-610-900-4120, or visit www.ApolloFarmsLtd.com. Our Pennsylvania Training facility is currently under construction. We are so excited and wanted to share some of the pictures of our exceptional property! Our website will feature several new pages with pictures and more information coming soon. Congratulations to Alexis Penrose for winning her first BLUE Ribbon/Trophy on "Lilly" at the Dream Park, New Jersey Horse show!!! Way to go Alexis. We wish everyone a safe and prosperous New Year. Thank you again to all of my wonderful students and best wishes moving forward. Thank you for my show team and all of your support. Lisa Stackow, thank you for such a wonderful year! You made such a difference to us and would not have been able to accomplish so much in 2011 without you. In WEF official Program for 2012!! Limited edition bows will be available exclusively at our WEF vendors. Check back for details. 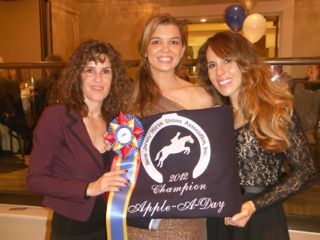 Congratulations to Delia and Leon for placing #3 for 2011 E.P.P.H.A., P.P.H.S.A. 3rd Young Hunter Division 2011 year end overall standings. We are so excited to announce that Ellie's Bows are now also sold at Saddlers Row in Palatine, IL!!! Look out for addtional vendors in the 2012. Ellie's Bows are now avialable at Carousel Saddlery in California and Outlaw Outfitters in Newton New Jersey!! Check out our various collections at these and our other exclusive retailers featured on our homepage. The collections sold at stores are not available for sale on our online Boutique! Congratulations to Delia and Leon Dax for an outstanding performance and great placings at Hits, Saugerties New York in Low Hunter and Baby Green hunter classes. We can't wait to see what next year will bring. Ellie's Bows are featured in June/July issue of Equestrian Magazine! Ellie's Bows have been featured in the Things we like "Our Stlye Page". Ellie's Bows are now available at select retailers in New York, and Texas!! Copyright 2009-2020 © Apollo Farms Ltd.